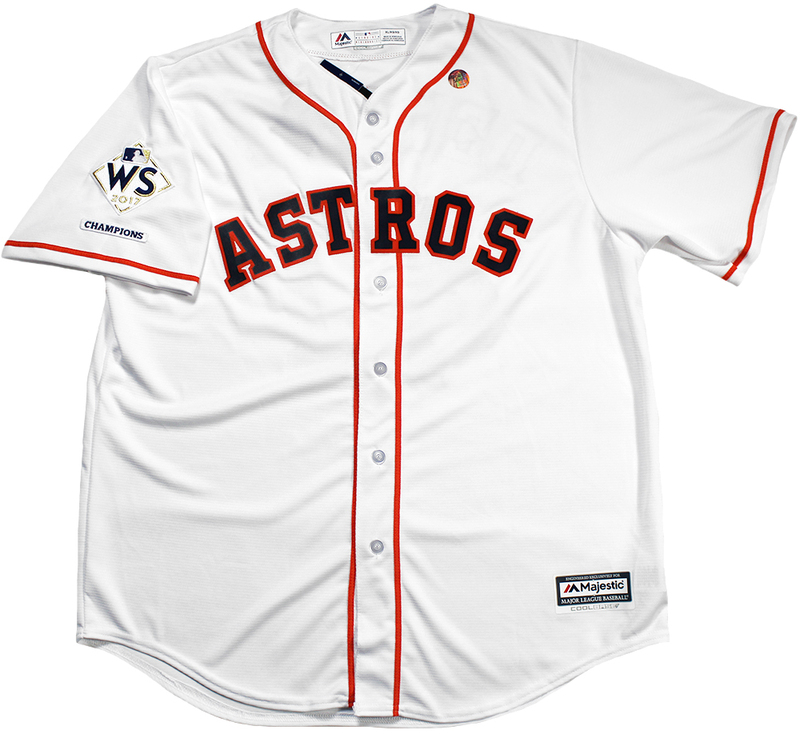 This Houston Astros white Majestic Cool Base jersey with 2017 World Series Champions patch has been hand signed by manager A.J. 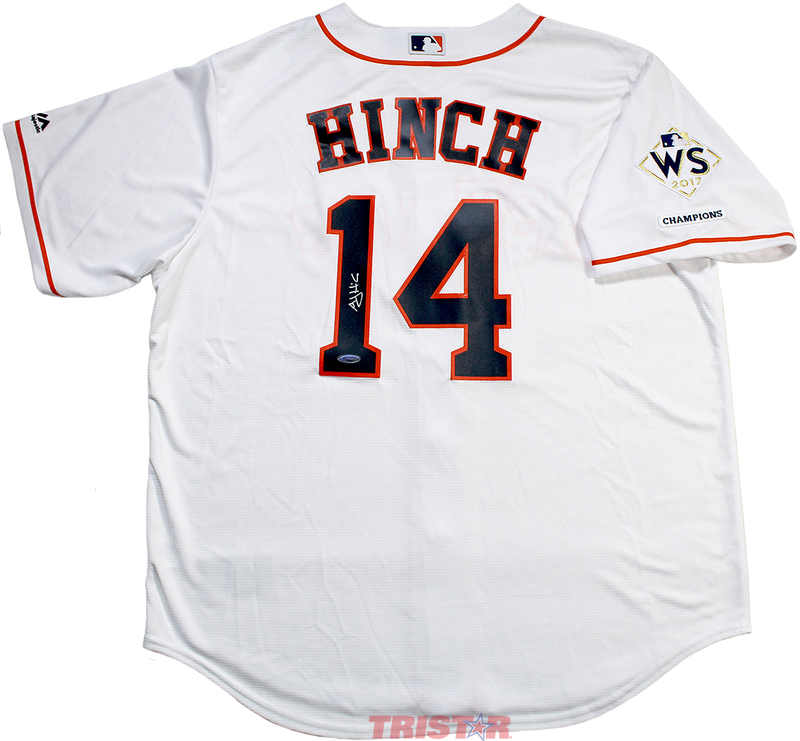 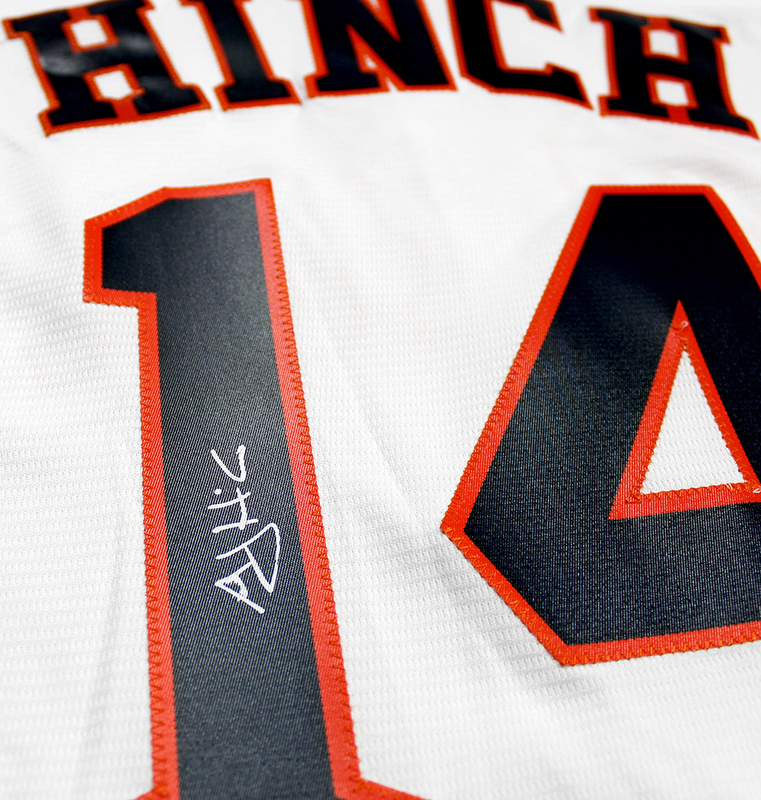 Hinch. 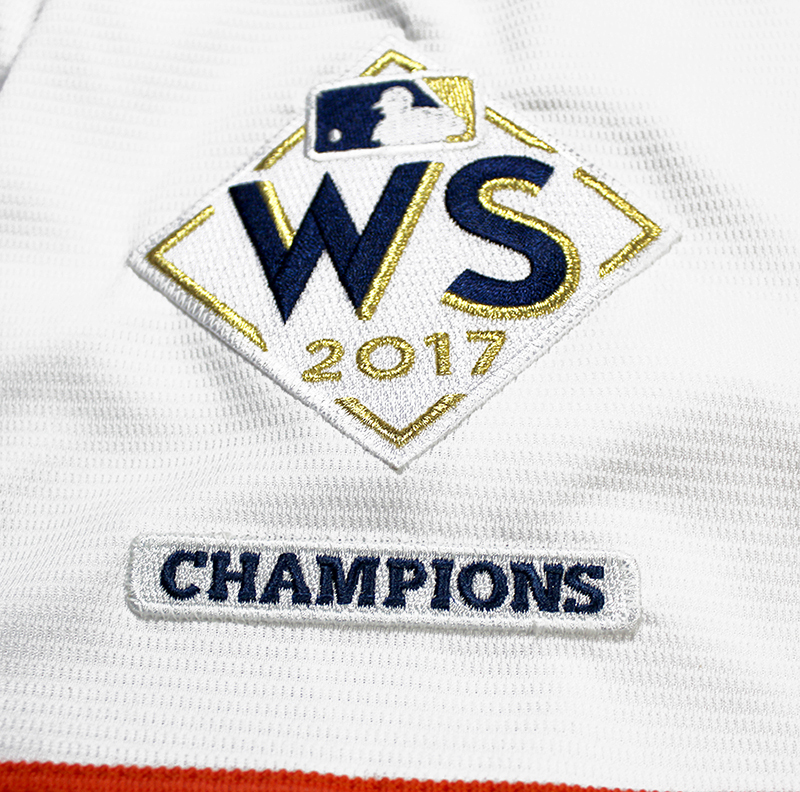 Each autograph is guaranteed authentic, and includes an individually numbered TRISTAR Authentic hologram.